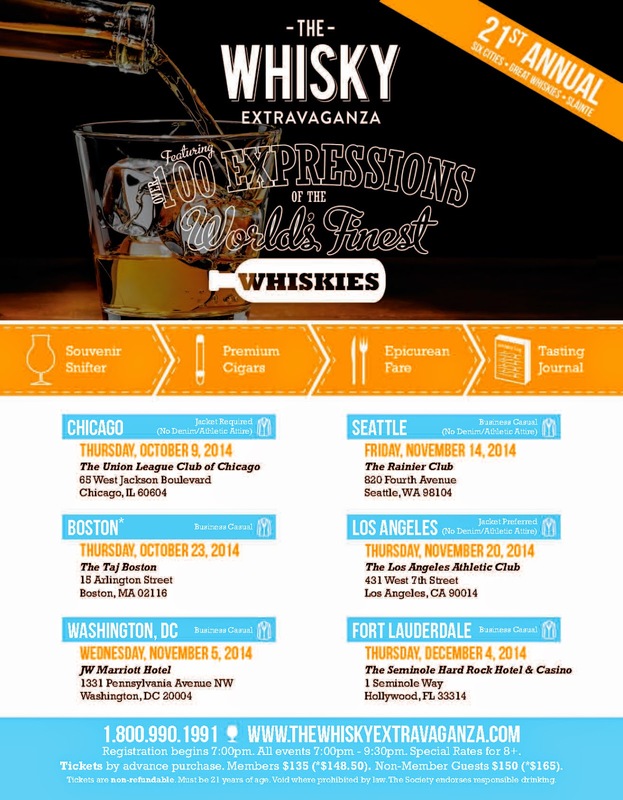 Get ready for an awesome evening brought by the wonderful team of The Scotch Malt Whisky Society of America... All tire-bouchon readers are invited to enjoy a connoisseur's evening featuring rare and exceptional and unique whiskies from around the world. No excuses folks... Cancel your plans for next Thursday, put your fancies on and come to The Taj Boston to join me and bunch of other whisky geeks for an unforgettable feast of grain, water and yeast. Our hosts promise an experience including unlimited tastings (hell yeah...), epicurean food (no exaggerations there, believe me), a selection of premium imported cigars (..!) for later enjoyment, souvenir snifter glass and much more. Get the opportunity to sample all the participating whiskies in a very welcoming, friendly and chic environment and to meet all the representatives and ambassadors from each participating distillery, blending house and independent bottler. Did I draw your attention? Nice... Now the important part, listen carefully: tire-bouchon offers a 10% discount on tickets to The Whisky Extravaganza. Go to the link www.thewhiskyextravaganza.com or call the number 800.990.1991 and when you purchase your ticket use the promotional code "RETAILEXT14".